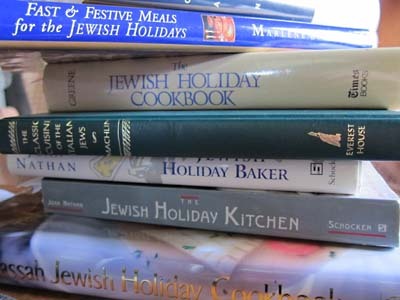 There are two major Jewish Holidays coming up on the calendar, in fact one starts today at sundown - Rosh Hashanah - the beginning of the Jewish New Year. I am not Jewish but many of my friends and acquaintances are. I wanted to understand the meaning of Rosh Hashanah and then, Yom Kippur which is in 10 days. I know these holidays are steeped in ritual and traditions. My friend Dottie Weber shares what these holidays mean to her. And, in her next interview, airing on Saturday October 1, 2011, Dottie shares her menus and some recipes. One can understand how these chickens lay the best eggs around!! 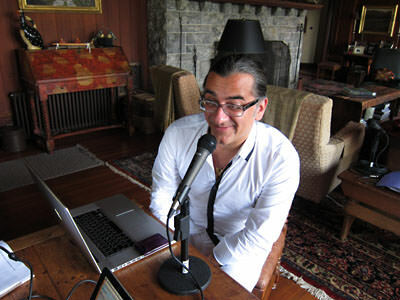 Ali Ansari was truly an inspirig and wonderful guest. His close connection with the women in the kitchen - his Persian and German grandmothers had much to offer - recipes, artistic inspiration, cultural differences, and harmony. LIsten up - this one should not be missed!! 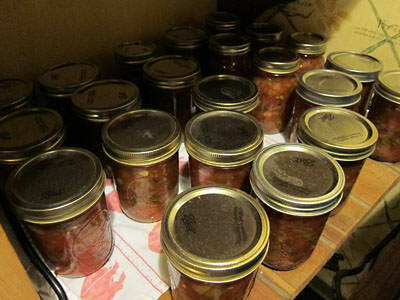 In my house we eat salsa a lot! In fact, it's my favorite snack. But there is nothing better than putting up 50 pints of salsa from the produce of your own garden to enjoy all winter long. I encourage everyone to try it and if you are afraid - email me, call me, comment here and I'll talk you through it. 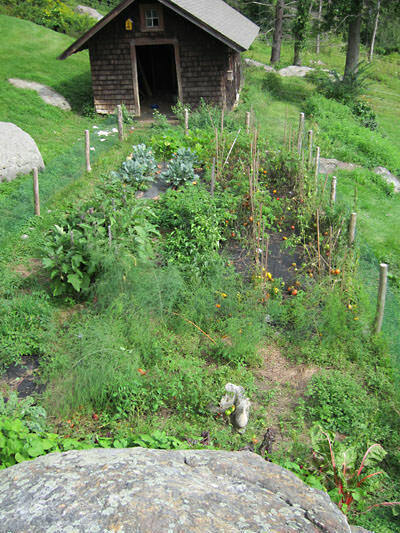 Ok, so admit it, I expected my garden to produce some food but it is truly extraordinary how much food a 20 X 48 foot garden can yield. I can't keep up with the tomatoes despite our eating 2-3 a day, canning 50 jars of salsa, roasting multiple pans of cherry tomatoes and freezing and of course, giving some away. I think one needs to take a week or two off and just put up your food! And now I am getting ready to plant for late fall harvest, so stay tuned! !